In a list of crimes committed against children during Halloween, euphemistically named “fun”-sized candy ranks up there beside razor-laden apples and healthy snack alternatives. There is nothing fun about getting 1/3 the size of a regular chocolate bar, just ask Saddam Hussein who during his last days of freedom was found surviving on these diminutive snacks while living on a 6×6 ft hole-in-the-ground or as his marketing team called it, the “fun”-sized bunker. When it comes to DDR3 memory heat spreaders, the marketing push seems to be the other way around in terms of size. Large heat spreaders were understandable during the days of DDR and DDR2 when those memory modules required large amounts of voltage to function at higher speeds. It did not really make sense when lower voltage and cooler running DDR3 became the norm. Sales numbers were probably better for kits that are clad with larger heat spreaders, thus the resistance of memory manufacturers to offer lower height modules even on their mainstream product line. This trend of large heat spreaders limiting cooling options was definitely not amusing. Thankfully some manufacturers such as Patriot Memory are more sensible with their heat spreader design. Patriot Memory’s Viper 3 modules for example are 41mm tall and can fit under popular enthusiast-class heatsinks such as the Noctua NH-D14. Users who are looking for a kit with an even lower height restriction will be glad to hear that a “low profile” version of the Viper 3 kits are now also available. The Patriot Viper 3 low profile modules are available in 1600MHz, 1866MHz and 2133MHz speeds and in three color varieties. 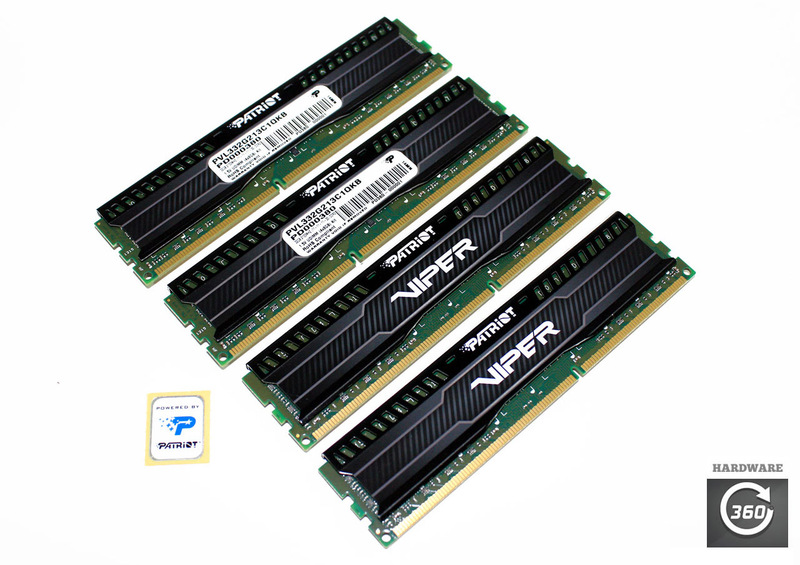 The Viper 3 low profile kits are hand tested and ranges in capacity from 8GB to 32GB. Tested frequencies can be quickly loaded on Intel 6, 7 or 8 series platforms via XMP 1.3 as well as AMD platforms via AMD Memory Profiles. The Patriot Viper 3 low profile series kits are hand tested for compatibility and are backed with a lifetime warranty.